Repositionable glue tape allows glued items to be picked up and repositioned again and again. Compact, bean-shaped applicator fits comfortably in your hand. Power gear mechanism straightens any winding irregularities prior to a tape jam. 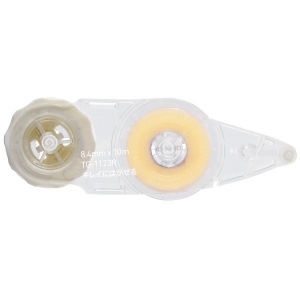 Retractable tape head protects the glue tip, and prevents accidental gluing. Convenient to carry with you anywhere.